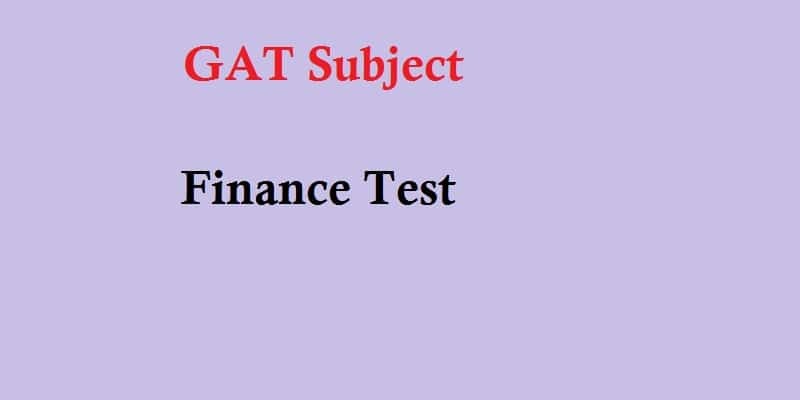 Finance is first subject in GAT Subject in Management Sciences test. Its percentage of test is 10%. This First test contains 10 Multiple choice Questions (MCQs), which are frequently used in these type of exams.